Aaron Long and Tyler Adams. @NewYorkRedBulls. On Monday, Red Bulls Homegrown midfielder Tyler Adams and defender Aaron Long were called into the U.S. Men's National Team roster for a pair of October friendlies against FIFA top-25 opponents Colombia and Peru. Adams and Long will report to camp in Tampa on October 7 following the Red Bulls' match in San Jose on October 6. The U.S. will face Colombia on October 11 in Tampa before hosting Peru in East Hartford, Connecticut, on October 16. Adams, 19, got his first international goal in the U.S.' 2-0 win over Mexico on September 11, in his seventh senior cap. Adams has been involved in every USMNT match since getting his first cap last November against Portugal. The Oak Hills, California native was converted from a midfielder to a center back after arriving in Red Bulls camp in 2015. Long was honored as the 2016 USL Defender of the Year before transitioning seamlessly to MLS, where he has established himself as a key piece of a defense that has recorded 13 shutouts this season and has allowed a league-low 32 goals in 31 games. Long's performance has resulted in a 2018 MLS All-Star nod in addition to the international call ups. "It was difficult in the last set of games to include all of our players, and at center back we had a number of guys in with us," interim U.S. Soccer head coach Dave Sarachan told USsoccer.com prior to the roster release. "In a 10-day camp, Aaron showed well even though he didn't get an opportunity in those games. He's consistently shown his abilities with his club, and after his showing last month we felt he warranted another look for these matches." 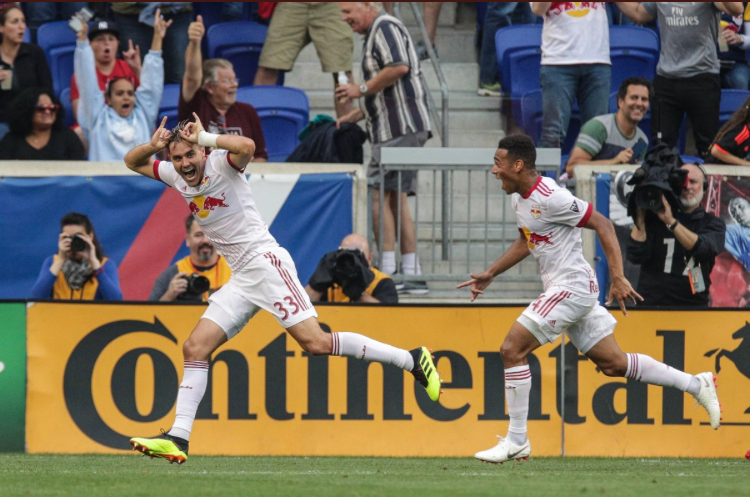 Adams and Long have helped the Red Bulls to a franchise-record 19 wins this season. New York has secured a top-two finish in the MLS Eastern Conference and trails Atlanta United FC by one point in the MLS Supporters' Shield standings after defeating Atlanta 2-0 at home on Sunday afternoon. The Red Bulls travel to San Jose this weekend to take on the Earthquakes on Saturday, October 6. Kickoff is set for 10:30 p.m. ET.